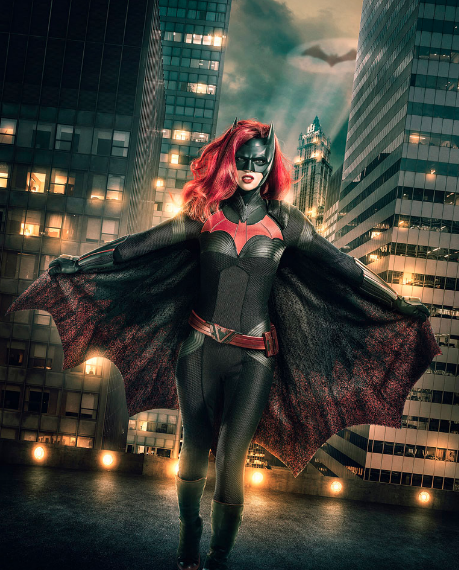 The first image of Ruby Rose as Batwoman was released today. Elseworlds, the annual Arrowverse crossover, will take place in Gotham City. The crossover will start with The Flash on Sunday, December 9. Arrow will continue the story on Monday, December 10, before it all comes to an end in Supergirl on Tuesday, December 11. This story will mark Ruby Rose’s debut as Kate Kane, a.k.a. Batwoman. While Kate is Bruce Wayne’s cousin in the DC Universe, the Batman isn’t expected to appear in this story or anywhere else in the Arrowverse any time soon. Another character I know nothing about. However, I always enjoy the CW crossover event each year, so am looking forward to seeing how this character blends in with the others. I'll be especially interested to see how they explain how she's wandering around Gotham City fighting crime and her cousin, Batman/Bruce Wayne, just "happens" to not be around. Supergirl eventually had to bring in Superman and, I'm guessing, Batman will have to come into the picture at some point, if the Batwoman show goes to series.